The young Copenhagen based office NORD Architects has won the competition for a new area in the center of Aarhus. 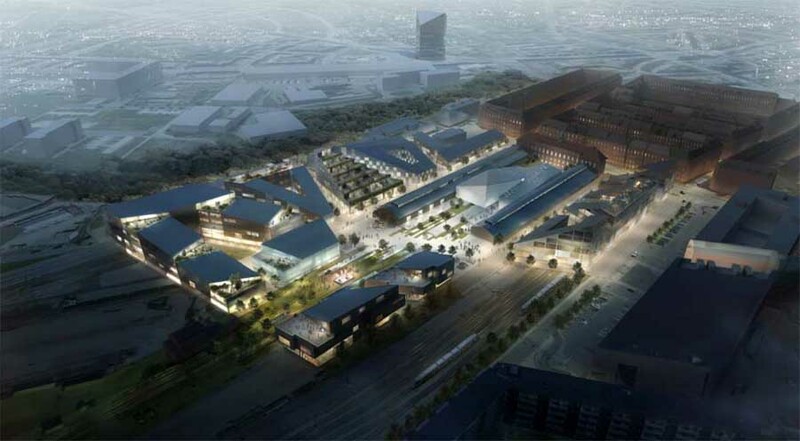 The Northern goods railway in Aarhus is going to be a unique neighbourhood where history, density, landscape, recreational areas, culture life and modern architecture are being united. By dragging the old railway tracks into the center of the area the characteristics of the landscape are being hightlighted in a matchless green park. The site is situated in a valley and the building structure imitates the valley by creating an outline which is higher on the edges of the area than in the center. The masterplan has a layout with a number of triangulating construction sites which will set the agenda for an interesting architecture with open and transparent ground floors, terraced houses and roof gardens. The winning team consists of NORD Architects, 3XN, Hans Ulrik Jensen A/S, Exners Tegnestue and engineering company Søren Jensen.